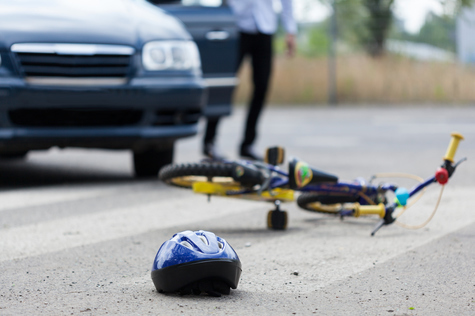 When bicycles and automobiles collide, serious and catastrophic injuries are extremely common. In many cases, the accident is fatal for the bicyclist. If you have been injured in a bicycle-automobile collision, it is important to know your rights and seek professional legal assistance to access the financial compensation that will be necessary to cover your medical expenses, lost wages, property damage, pain and suffering, and long-term expenses which may include nursing care and months to years of rehabilitation. If you have lost a loved one in a bicycle accident, our seasoned attorneys will assist you with filing a wrongful death civil suit. Riding bicycles is an activity that many of us enjoy. Unfortunately, bikes offer little protection for the rider, even when a helmet and all proper safety gear are used. The smallest car is capable of permanently maiming, disfiguring, or killing a bicyclist in very low speed collisions. Bicycles are significantly less visible than cars. However, cyclists have all of the same rights to travel on the roadways of West Virginia as vehicles, and motorists are responsible for being aware of their surroundings. Frequently, we witness the motor vehicle operator attempt to shift blame to the bicyclist, regardless of who was actually at fault. Our law firm is committed to holding negligent drivers, as well as their insurance companies, fully accountable for your financial, property, and emotional damages. Drivers in bicycle-automobile accidents tend to be deemed at-fault when the motorist fails to yield to a bicycle at an intersection, when a bicyclist is rear-ended, clipped when passed by the motorist, or when a vehicle operator strikes a bicyclist riding within a designated bike lane. There are many other cases when the motorist is at fault. Our personal injury legal team stands by you throughout your entire case. We will not let you be intimidated. You will deal with your attorney at all times, not an inexperienced paralegal. In addition, Angotti & Straface maintains a full-time administrative and research staff to assist with gathering evidence and preparing your claim. We have access to the state’s most reputable accident re-constructionists, as well as medical and rehabilitation professionals to help build the strongest possible case in your favor. If a comprehensive settlement of money for your losses cannot be reached out of court, we will take your case to trial. We do not accept less than our clients are entitled to receive. Contact Angotti & Straface for a free initial consultation to discuss your personal injury claim right away, before evidence is lost or destroyed: (304) 292-4381. We serve clients in Charleston, Huntington, Wheeling, Morgantown, Parkersburg, and throughout West Virginia.